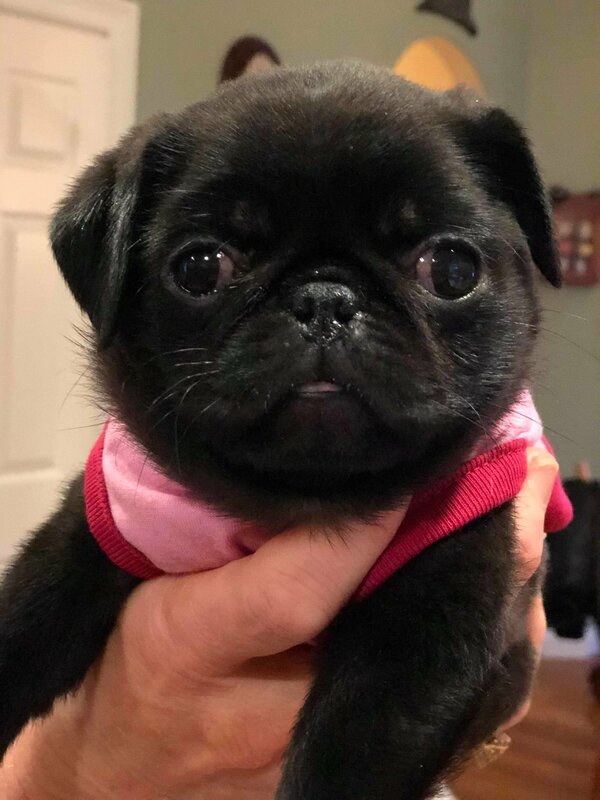 On February 13, I went on a long awaited adventure to bring home the newest member of my family (in other words: I traveled 761 miles to get my pug). I’ve wanted a pug for as long as I can remember! When I was younger, we took care of pugs for a friend quite a lot and they were always my favorite dogs. I have always loved their sweet disposition and loyalty. I’ve always been an “adopt don’t shop” kind of girl, meaning I have always gotten shelter pets. But, this time I found a responsible and loving pug breeder that I absolutely adored. Her pugs are her babies and she is extremely responsible with breeding. The breeder is called West Coast Pugs and it’s located in Fresno, California. Yes... Fresno. That’s a long way from where I live in Vancouver, Washington! 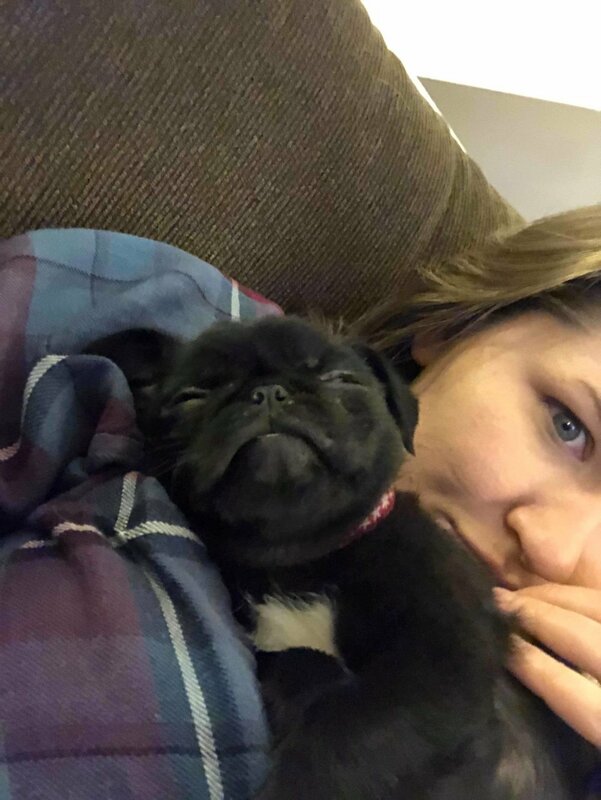 The distance was well worth it for bringing home my new baby pug. My mom and I went together to pick up my new baby, we were both so excited to meet her. We flew Portland to Los Angeles, then LAX to Fresno! It was a long day of flying before we finally arrived in Fresno and met the breeder in the afternoon. I couldn’t stop feeling emotional when I finally met my new baby -- we connected right away! Her personality is playful because she is a puppy, but she’s also really loving and loyal. She was only nine weeks old when I brought her home! When we flew her home, we had to go through Seattle to get to Portland. Fresno has so few flights every day that it can be hard. Our flight was delayed so we made the best of it by playing with her in the airport! She gathered lots of attention (I mean... of course, look how cute she is!). She has been making friends with her new family members ever since I got her home and has been getting bigger already! Do you have pets? Did you drive a long distance to find them?